School days are such a rush getting out the door. I hate to get my kids up any earlier than I have to (nor do I want to get up), but I also want them to have a good breakfast. We don't do pop-tarts in our house and my kids aren't fans of granola bars, so grab and go foods are out. 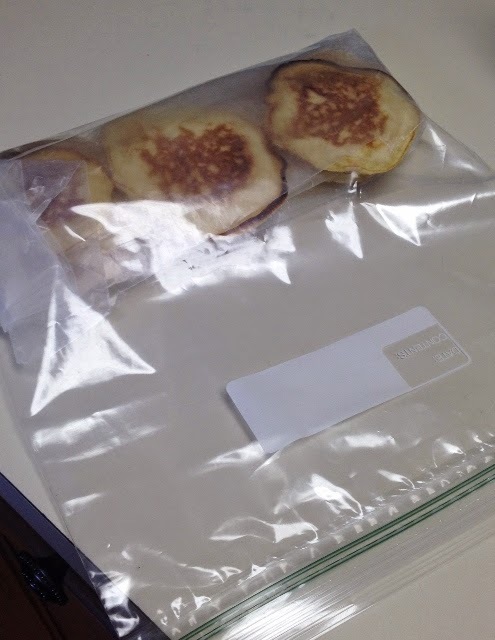 I have found a way to be able to serve up homemade pancakes quickly. When I make pancakes on the weekend, I simply make extras. 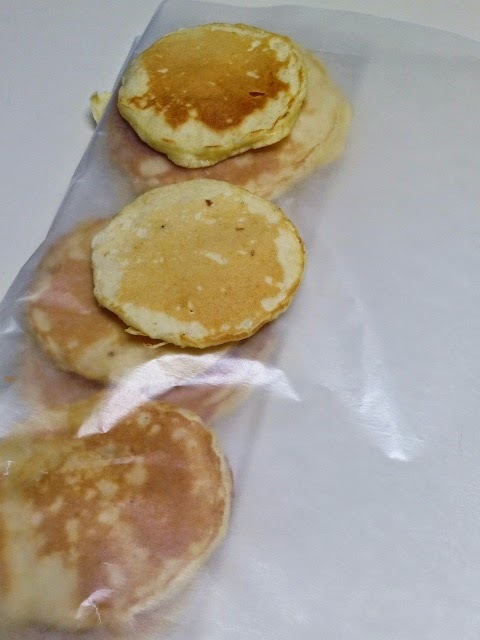 Once they have cooled, I layer them with wax paper between and put them in a freezer bag and freeze them. On hurried mornings, I simply pull out what I need and microwave them. It's so simple!